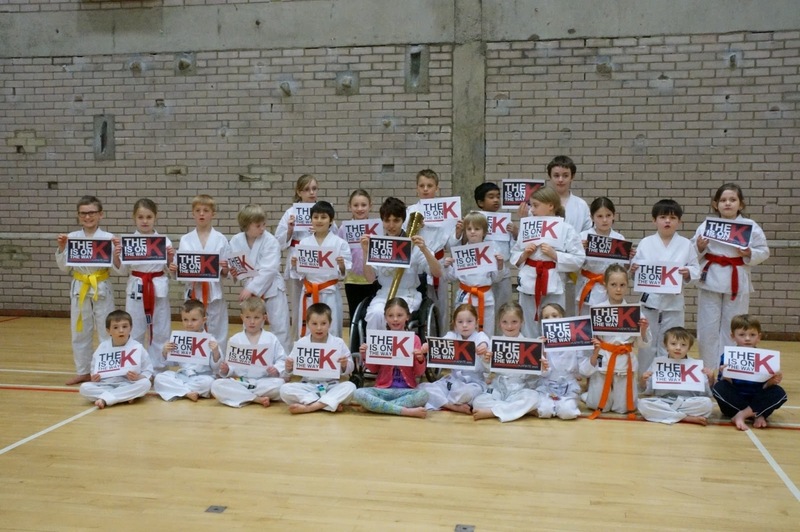 On Sunday 7th April, over 70 karateka gathered at York University for a ‘Special’ Karate Course. HSKC had arranged for Alan Campbell, Scott Langley, and Rob McCartney Sensei to provide the instruction. The course was split into two sections. Sensei Alan took the adults and senior grades for the first session on Junro Shodan, focusing on correct turning and spinning on the heel or ball of the foot. He then handed over to Sensei Scott who focused on the two handed simultaneous block and attack moves in Junro Nidan. The class was completed by sensei Rob showing lots of applications to Heian Sandan. There was certainly a lot of discussion after each session about what had just been covered, and a lot of people practicing some of the moves to make sure that they would not forget them – always the sign of very engaging, useful and motivating instruction! where you have to grab the ribbon in your opponent’s belt whilst protecting your tag – ideal practice for real kumite (and the upcoming Selby Competition!). Medals were awarded for the top competitors by Sensei Alan. Kat’s endless patience in giving absolutely everyone who wanted the opportunity to have their photo taken with her and her Olympic torch was rewarded when Sensei Paul surprised her with a cheque from the Selby Karateka who has done nearly 60,000 sponsored karate technique in order to raise money to help Kat with her sports training. 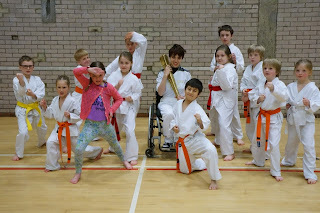 SSKC raises "Cash for Kat"
Members of Selby Shotokan Karate Club raising funds for Kat a disabled Olympic torch bearer studying for a BA in journalism at Northumbria University. 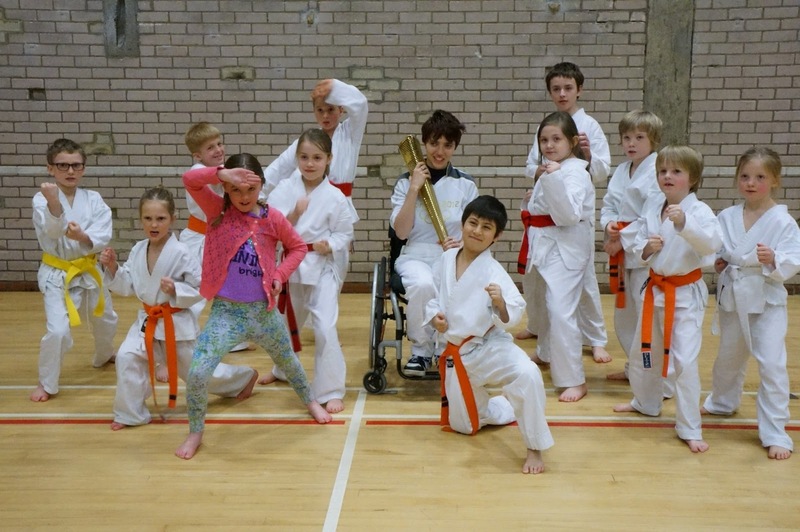 Kat suffers from Ataxic Cerebral Palsy, the money raised will help her access sports. There is a new link in the side bar of the home page to the English Karate Federation. 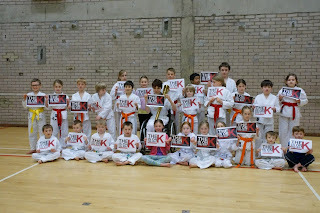 As part of the JKS, Selby Shotokan Karate Club are members of the EKF.